Epson Mobilink - Peeler, Bluetooth, Battery and Belt Clip - Color: Dark gray. Must order power supply (Part# C32C825361) separately to charge Mobilink. 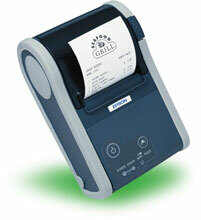 The Epson C31C564321 is also known as Epson POS Products	EPS-C31C564321	.